No boat? No problem! Our skippers can always use more crew - and if you're a skipper, find willing crew for cruising or racing. We want to get you back on the water! The Ventura Sailing Club is a group of active beachcat, multihull and monohull sailors. We welcome all new members interested in cruising and racing events, as well as those simply seeking fun on the water to enjoy Nature’s treasures. The Santa Barbara Channel offers magnificent opportunities year around for cruising, racing or exploring the local islands and we can hook you up. 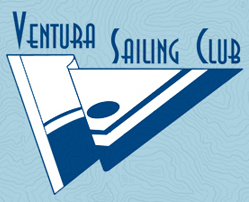 Without the heavy financial demands of most clubs, the Ventura Sailing Club offers low annual dues and tremendous opportunity for what really matters ... getting out on the water to have fun. We meet the second Tuesday of every month at Victoria Pub and Grill in Ventura, to discuss past events or plan new ones, enjoying an informal and fun atmosphere without any obligations. Join us, get on the water and start enjoying the local treasures!